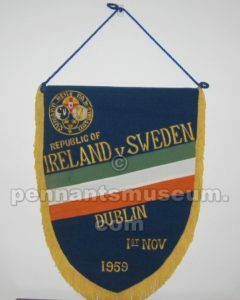 Huge pennant of the match Ireland vs Sweden played in 1959. 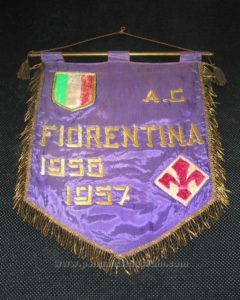 All match details and badge are finely hand embroidered. 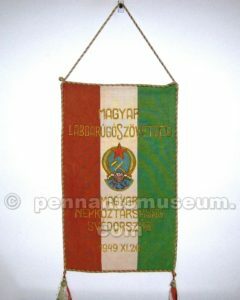 Very nice printed pennant issued in the period of the fascism as shown in the club badge which has below the fascio littorio. 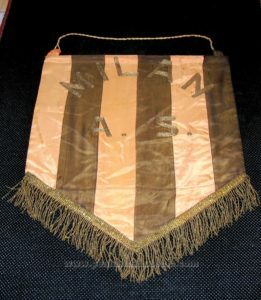 Heavy brass pole, large size, golden fringe and white back. 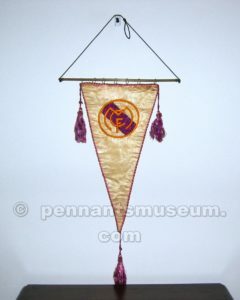 Pennant stuff is in satin. 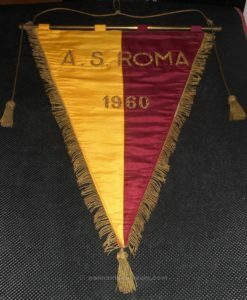 Like most of the pennants of the As Rome this has red and yellow halves with brass bar and golden cord and fringe. 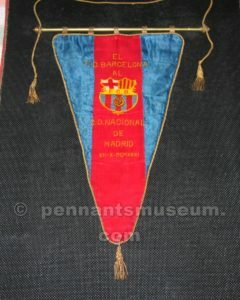 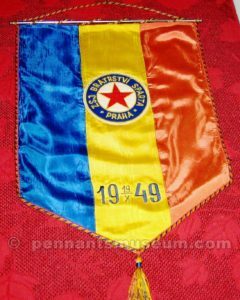 On the pennant name of the club an season is embroidered with gold thread. 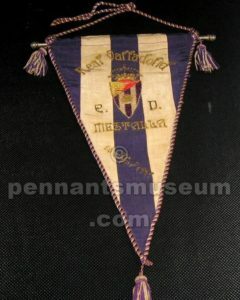 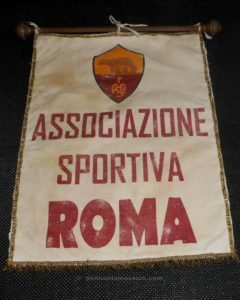 It is a classic pennant of the Italian club rare because only few were issued in 1960.